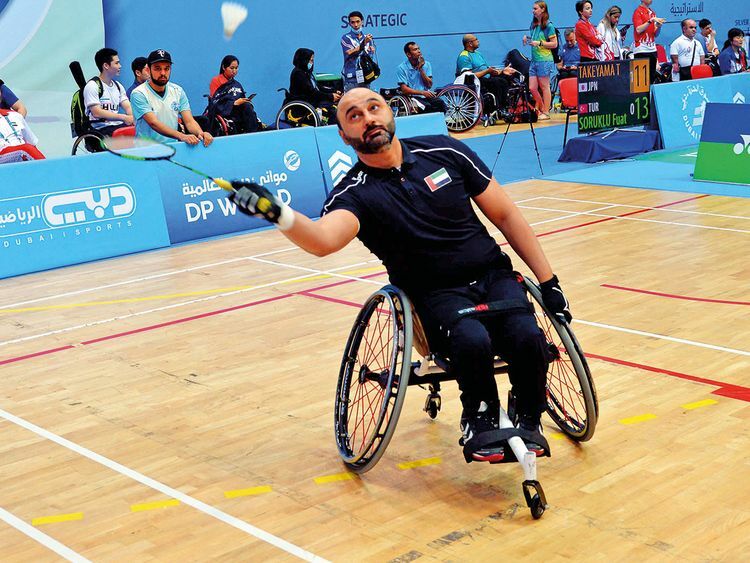 Dubai: Mohammad Ahmad Al Zarouni will be carrying the hopes of the UAE as the Second Fazza Dubai Para-Badminton International Championship got under way at the Shabab Al Ahli Dubai Club. Competing in the wheelchair WH2 category, Al Zarouni has been joined by nearly 300 players from 39 countries as athletes try to garner points in the race to the World Championships and 2020 Tokyo Paralympic Games. Organised by the Dubai Club for People with Determination, the competition also serves as the second event towards qualifying for the 2020 Tokyo Paralympic Games. Powerhouses China, Indonesia and India have all arrived with strong squads as the round-robin matches got under way. The final will be held on Saturday. Para-Badminton will make its debut at the Tokyo Para Games next year, where the sport has been allocated 90 slots across 14 medal events. The qualifying process will continue until March 29, 2020.